Your alarm is beeping and it feels way too early. All you want to do is crawl back in to bed or go make yourself a giant cup of coffee. But, what if you took that time to roll out your mat and do some yoga practice instead? Mornings can be hectic and busy, but allowing your body and mind to slowly unwind and prepare for the day can be one of the best things for you. Here are five reasons to start your day with yoga. 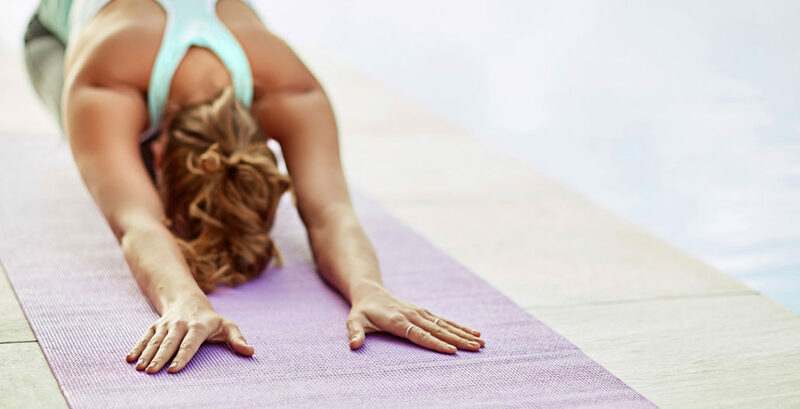 If you find yourself feeling frazzled and disorganized throughout the day, practicing yoga in the morning could help you get some order back in your life. It will give you the mental clarity you need to make it through the work day and leave you energized into the evening hours. Starting your day by offering positive affirmations, doing some sun salutes and meditating about how you want your day to go can be incredibly powerful in setting yourself up for success. You’ll be waking earlier to do yoga (even if it’s only 10 minutes earlier) and you won’t feel as stressed and aloof as usual. You’ll be less likely to snack on junk food throughout the day after you’ve started your morning with a yoga practice. The good feelings that come from doing yoga help to boost your metabolism, making your digestive system work properly and helping you stay away from foods that aren’t good for you. Stretching just feels amazing when your limbs are stiff. Pushing through the slight pain, you feel waves of joy as you stretch your muscles and hold poses for as long as you can. If you’re the type that likes to challenge yourself, yoga in the morning will be great for you. Your body will thank you for the care you’re giving it. When you do yoga in the morning, you move more slowly because you are still waking up. You’ll feel peace as you slowly sweep through movements. Your body will wake up and you’ll be radiating positive energy throughout the day. Practicing yoga first thing in the morning isn’t easy, but it can have long-lasting benefits on your body and your mind. Try it out to see how great you can feel in the morning.